I should be editing my novel which is due to the editor in the next few days, but why do that when I can procrastinate? So hi! Go put some Nutella on a spoon (my poison of choice) and let's talk about boxed sets! Indie boxed sets blew up in a big way in 2014. For a while, they were the easiest of easy buttons when it came to hitting the USAT and NYT bestseller lists. You got a group of authors together, a good concept, a hot cover and you marketed the hell out of it and BOOM you had the sales numbers to be a bestseller. Plus, at times, lots of money. I have applicable experience, is what I'm saying. Which is why I'd like to bend your ear. Even though many boxes never lettered, it seemed almost ridiculously easy once you'd been in one that had. The math was rather reliable in terms of the amount spent on ads, price points that moved copies, the volume of synchronized marketing required and how that all fed into the amount of books sold. However, as more and more authors jumped into boxed sets, the market became saturated. As if that wasn't bad enough, Kindle Unlimited also began skewing rank as well as visibility and the NYT started 'overlooking' boxed sets more often than not. The easy street to an author's alphabet had closed by early 2015. But there are boxed sets that don't benefit authors and I want to take a minute to talk about those. Beware the boxed set that doesn't pay authors. I'm seeing more and more of these 'offers' that pay only in exposure. Or they give you a couple bucks and the balance is paid in exposure. For authors who don't yet know how rank relates to earnings, these boxed sets may be tempting. Which is why they even exist. They're capturing authors who don't know better. I want you to know better. If you give away one of your stories to these exposure bundles and it ranks at 200 in the Amazon store for quite some time, you just lost out on four figures. How's that exposure feeling now? Believe it or not, every boxed set I've ever done, I've made money AND benefited from exposure. You don't have to give up one to have the other. Everyone can and should win. Know that you can make $10,000, $20,000, $30,000 or more on a huge breakout hit boxed set. You can make ~$500 on one that kind of flops. Don't give away your work. Exposure boxed sets are not going to deliver anything you can't do yourself. They are not a short cut. They do not benefit authors. If you're tempted to jump into one of these exposure only sets, interpret the urge as a sign that you're behind the curve on learning the ins and outs of marketing. Authors who know how to market don't need to give their stories away. Money flows toward the writer and exposure is NOT money. 1. Charity boxed sets, but be sure you can verify the money went to the charity and be aware the person donating gets one hell of a tax write off which is a financial benefit you will not see. 2.Boxed sets that serve other cooperative goals. Such as building a mailing list that everyone benefits from. Mailing lists are finicky, tricky things and prone to several different problems. The one that causes a lot of angst for authors is poor performance metrics. You spend all this time hustling to grow a list of dedicated readers only to run into declining open and click rates. What? How does that even happen? 1. You're spam and don't even know it. For whatever reason, your email address has been blacklisted as spam by too many email service providers and they're refusing to deliver your newsletter. This is almost guaranteed to happen, unfortunately. One sign this has happened to you is when personal one-on-one emails from your account start going to spam. If your editor or best writing bud is telling you that they keep having to fish your emails out of spam, you've got a problem. The fix: Switch out the email associated with your email campaigns to a domain email (author@author.com). Don't use gmail or hotmail, that just makes you look even more like spam! It costs less than $30 to set up a domain, forward the domain to your website and create a domain email on GoDaddy.com. I'm a Luddite and I managed to do it, so can you! 2. Other people are spam and you share a server with them. Everyone's newsletter is sharing space on various servers and, if too many of your fellow newsletter senders get blacklisted as spam, the entire server can be blacklisted. 3.You never talk to your readers. One way to keep your emails in people's inboxes is to periodically encourage replies to your newsletters. Back and forth dialogue tells the email service provider that you're legit. 4.Your readers have moved on. Did you know? Newsletter subscribers actually go stale? Aw, man. You worked so hard, not only to write the perfect book, but to connect and engage with people and they are so over you. Sad, but true. The life span of your average subscriber is three to six months. The fix: Engagement, engagement, engagement. Contests, giveaways and exclusive content can prolong your relationship with newsletter subscribers. You need to have a content plan for your newsletter that gives readers a reason to stay tuned in. On top of a content plan, you need a recruitment plan. You need to be bringing in new readers on a regular basis--that never stops. 5.You can't math. Pop quiz...which number do you want to have 20% of? 1,000, 10,000, 50,000? As your list grows and gets bigger, the performance metrics change. See, when a list is shiny and new (and before you've been blackballed as spam everywhere) you get 80% open rates and 80% click through rates. Over time, though, your list becomes a mix of new and stale subscribers, you start going into spam and your performance metrics decline. Strange but true, a five figure list can yield click rates of just 10% and 20%, which seems shockingly low, BUT you are still coming out ahead...because math. 20% of 1000 is 200. 20% of 10,000 is 2000. 20% of 50,000 is 10,000. The fix: You can keep your metrics pretty high by properly purging your list of subscribers who've lost that loving feeling. Good content and recruitment plans as explained above are also key. You can also do a little cheap therapy by comparing the actual number of opens and clicks now to what they were when you first started. Do that and you'll see that your metrics may be kind of blah, but you're actually reaching more readers than ever and have no reason to be sad. So there you have it...5 reasons your mailing list metrics are in the dumps and what you can do about it. Mailing lists are not simple things to manage, they are complex organisms that can veer way off track if you're not careful. Hopefully, you have some ideas now on how to navigate the challenges of your mailing list. My book, Furever After, will be live on Amazon tomorrow and there are various giveaways and events planned for all the books in the Southern Shifters universe. First up, TOMORROW 8/11 we have a Facebook party that is already hopping. Come join us and meet the authors as well as learn about their books. There will also be several giveaways! 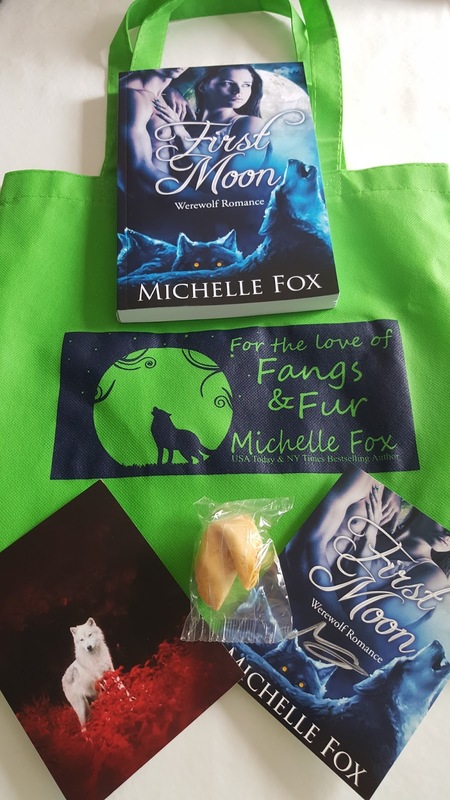 I'll be giving out an awesome swag bag as well as other prizes! After that, on 8/12, there will be a Facebook Author Page Hop with even more giveaways. Check back for the link to that. 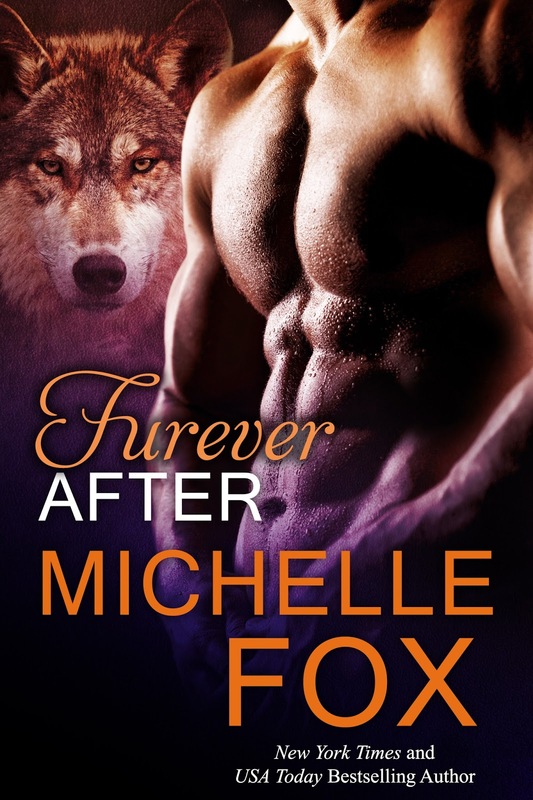 There's also a group for the Southern Shifters series that you can join. Dr. Jaxon Comyn has never met a wolf who could be his mate. To fill the void of living alone, he throws himself into the study of human medical science. When Piper comes into his life, it’s his one shot at having it all, but claiming her as his mate means taking on both her alpha…and his.